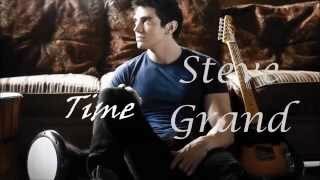 As a member of a tight-knit Catholic community in Lemont, Ill., Steve Grand could often be found making money in recent years by singing Christian songs at his local church. Throughout his life, he says he never saw an openly gay person perform there. Father Kurt Boras, the priest at Grand’s church, said that Grand has greatly impacted the community. “I think he’s changing our community, he’s changing us,” Boras said in an interview with The Huffington Post a few weeks after the release of “All-American Boy.” Boras watched the video with some of the church staff, and any concerns were about the whiskey and beer consumption in the video, not Grand’s sexuality, he said. Real love—what is it and where do we find it? The drive to feel complete and loved is based on looking for a love that cannot be lost or interrupted, for a love that is satisfying and fulfilling. One that doesn’t come or go, but remains constantly the same, regardless of circumstances. The love I’m talking about isn’t romantic, but is sound, secure, and steadfast during not only the happy times, but also when the currents of life turn rough and tumultuous. This type of love is spiritual and can be found only in God. Confidence in this fact comes with the understanding and assurance that God is the Giver of everything good. Mary Baker Eddy, the founder of the Sentinel, saw clearly that this God is infinite Love, sufficient to meet all our needs, including companionship. “The depth, breadth, height, might, majesty, and glory of infinite Love fill all space,” she wrote. “That is enough!” (Science and Health with Key to the Scriptures, p. 520). A passage written by Mary Baker Eddy helped me recognize the ideal man (or woman). In part, she says that by looking higher and longer at the children of God’s creating, we will begin to see “the heart of humanity.” In fact, she writes that by maintaining a spiritual view of creation, we will come to see “the whole universe . . . showing forth . . . infinite divine . . . Love . . .” (The First Church of Christ, Scientist, and Miscellany, pp. 268-269). The more I adopted this spiritual view, the more I had people coming into my life who expressed wonderful qualities of friendship and companionship and all the things I thought I’d have to find in just one special person. That’s not to say that finding that one person would be wrong or would be a narrowing of this expanded view. Because being in a relationship—whether it’s a marriage or a dating friendship—is one important way that God provides love for all Her children, and makes that love understandable and tangible in our everyday life. Finally, I have discovered the permanency and fulfillment of real love, the love of God. It is always with me, never interrupted, always fresh and sustaining. It’s a love that can never be lost—and that is enough!